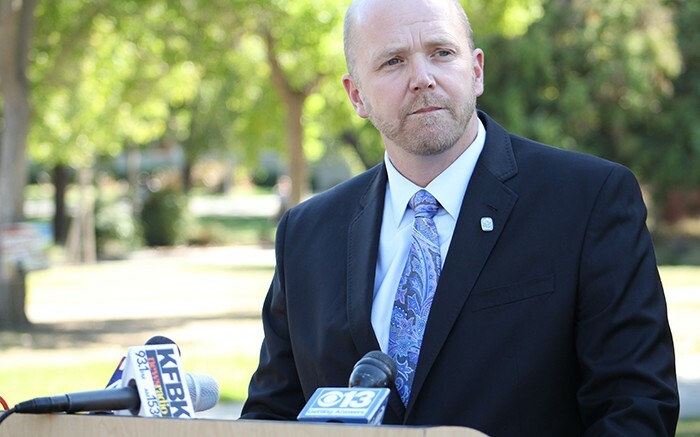 American River College President Thomas Greene and Los Rios Police Capt. John McPeek held a press conference Friday afternoon after the arrest of Kristofer Clark, a former student, on charges of making a threat against the main campus. “We as an organization, as a police department, do feel that the threat was a credible threat and took action immediately,” said McPeek. Below is a video of the full press conference. Be the first to comment on "ARC president holds press conference after former student’s arrest"